This is the HPI/HB Racing Large Pit Mat. Keep your pit area at home or at the track tidy and clean with the HPI/HB Racing Pit Mat! This Pit Mat is perfect for working on any RC vehicle. Separate parts areas let you organize any screws or washers you remove, allowing you to find them quickly and easily as you assemble your car or truck. 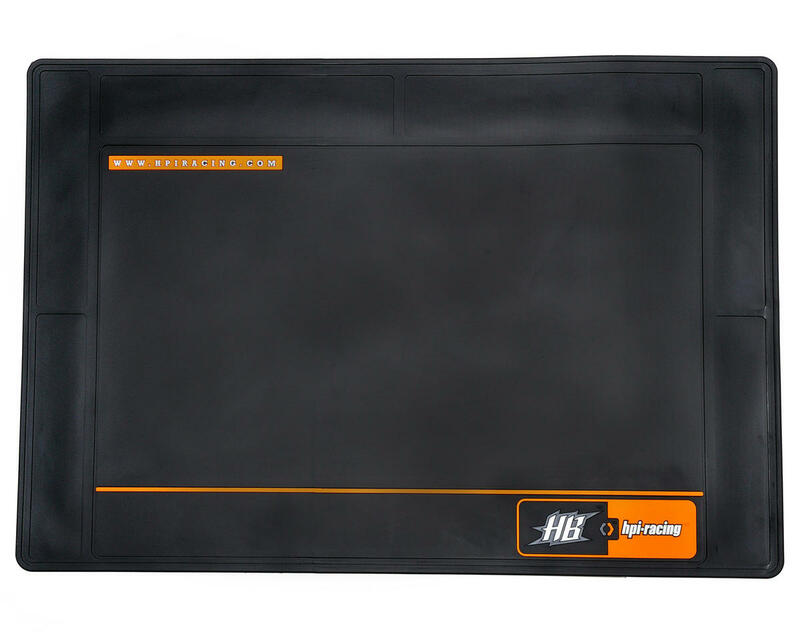 The HPI/HB Racing Pit Mat protects your table, desk or worktop from scratches, and helps prevent losing essential small parts from your kit. It also rolls up for easy storage and transportation.